Fort Wayne Citilink's office hours of operation are 8:00am to 5:00pm Monday thru Friday. Telephone information lines are staffed between 5:00am and 9:00pm on weekdays, and 7:00am to 6:30pm on Saturdays. 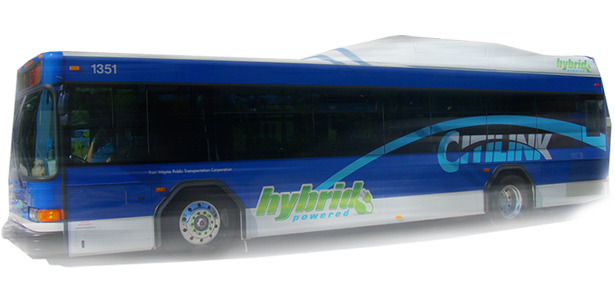 Citilink Buses operate between 5:25am and 9:45pm on weekdays and 7:30am and 6:30pm on Saturdays. Route times vary so be sure to check your schedule to find out what time a specific route operates. You may also visit the Schedules & Maps section for online detailed information. Note: Buses do not operate on Sundays or the following Holidays: New Year's Day, Memorial Day, Independence Day, Labor Day, Thanksgiving Day and Christmas Day. To obtain a copy of the routes and schedules call 432-4546 or e-mail a request for a copy to be mailed to you. Please be sure to fill out all the information so you can receive your schedules in a timely manner.